Most in Kittery will be exempt from furloughs, unlike the majority of Pentagon employees. WASHINGTON – Representatives for unionized workers at the Portsmouth Naval Shipyard in Kittery said they were pleased with the Pentagon’s decision to exempt most shipyard employees from furloughs, but that Congress has still failed hundreds of thousands of other workers. On Tuesday, the Department of Defense announced that most civilian workers at the Navy’s four public shipyards will not be required to take unpaid days off between July and September as part of the cost-cutting measures required under sequestration. The vast majority of civilian employees at the Department of Defense will be furloughed for 11 days during that period. “It’s good news for us at the shipyard but we can’t forget there are still hundreds of thousands of federal employees who will be furloughed because of this congressionally manufactured crisis,” said Paul O’Connor, president of the Portsmouth Metal Trades Council, an umbrella group that represents several of the shipyard’s labor unions. 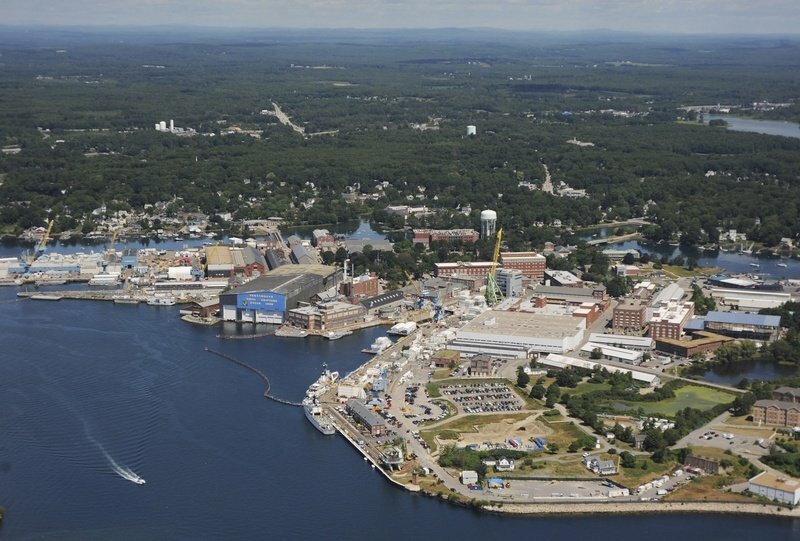 With an estimated 4,700 civilian workers, Portsmouth Naval Shipyard is one of the largest employers along the Maine and New Hampshire coastline. The facility is responsible for repairing and maintaining nuclear submarines, and Navy officials warned that furloughs in Kittery and the three other public shipyards — in Virginia, Hawaii and Washington state — would affect readiness and increase costs. Arvard Worster, president of the American Federation of Government Employees Local 2024, said the exemption is positive for most workers at Portsmouth Naval Shipyard but that some civilian employees at the facility will still be furloughed. Additionally, Worster said he has heard more people who are eligible for retirement this year may take that option in part because of the budget uncertainty. “We are still not happy about Congress using the federal worker as a scapegoat to try to fix the budget,” Worster said. The Department of Defense is required to absorb about one-half of the $85 billion in across-the-board spending cuts that began March 1 after Congress and the White House failed to agree on another way to reduce the federal deficit. Those budget cuts will continue for the next nine years — totaling about $100 billion a year — unless Congress adopts an alternative. Congress passed a short-term spending bill last year that gave the Department of Defense additional latitude to identify cost savings. Since then, the Pentagon reduced the number of anticipated furlough days from 22 to 14 and then finally to the 11 announced on Tuesday. Keeping employees home without pay those days is expected to save the department $1.8 billion.